I am new to this forum and I thought that I would present a sample of the items I collect. 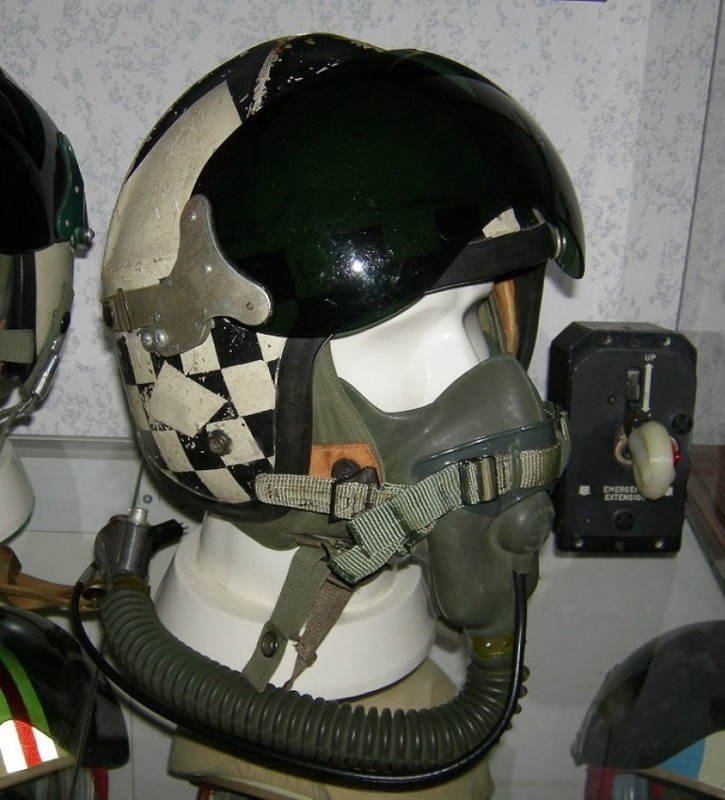 This is a RCAF Gentex H-4-1 fighter pilot's helmet. This one was worn by F/O Dave Youzwa while he was a member of 427 (Lion) Squadron based at 3 (F) Wing Zweibrucken, West Germany in the late 1950s/early 1960s. 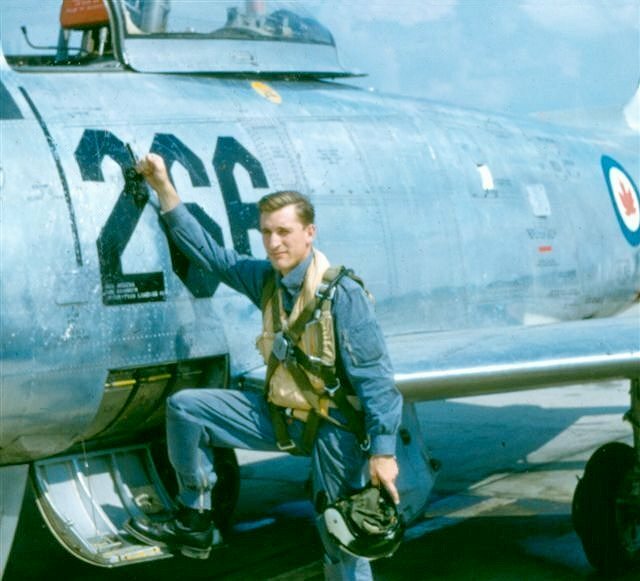 At the time 427 operated the F-86 Sabre in the day-fighter role. The squadron was a Halifax bomber squadron during the Second World War and became famous as the MGM Studios sponsored unit (due to the Lion mascot). Many Hollywood stars visited the squadron during the war for photo-ops. Later in the 1960s the squadron transitioned to the Nuclear/Strike role and operated the CF104 Starfighter at Zweibrucken. I would love to see what you have to post. Above is a link on how to upload pictures. Good luck. Thanks for the link. Got the hang of it now. 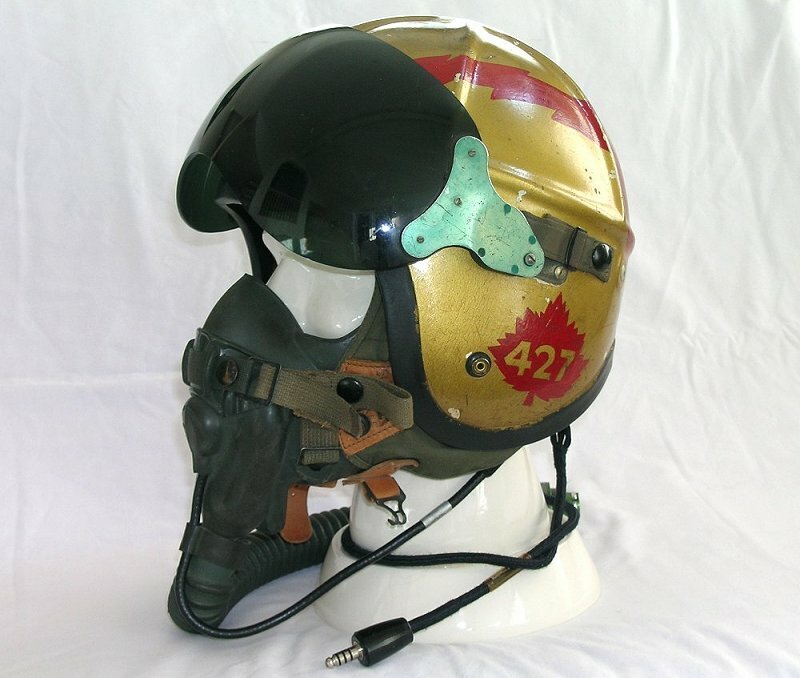 Very nice helmet, I had a CF-104 helmet years ago with the gold tinted visor for Nuclear operations, I wish I had kept it. Great helmet! I have always like those sabre fighters. Yes indeed, the Sabre era was the heyday for fighter operations. Those were the days when the RCAF ruled the skies over Europe. Tankermike - I just happen to have one of those gold-visor DH-41/2 helmets in my collection. As you correctly mention, they were used by CF104 pilots during the nuclear/strike days but only on days when they were assigned to the "Q". During normal ops they wore their helmets with the green sun visor. Interestingly, prior to the gold visor issue the pilots had to wear an eye patch over one eye so that at least that eye would be protected in the event of a nuclear blast. Great helmet! Very nice to see!! I am happy to post items from my RCAF collection here on the forum, however, I am not sure if there are any others out there with similar interests to provide some interesting conversation and collector back and forth banter. Collectors often ignore material outside of the First and Second WWs, and your post is a great reminder that there is much more. Yes, that is very true. There is indeed much more militaria out there to collect and enjoy. I believe that as the "Cold War" becomes further into our past collectors of these items will eventually start to appear. My ultimate goal is to write a book on the subject of RCAF Jet-Age Flying Gear and perhaps that may generate some interest down the road. Hi GH, Do we know each other? 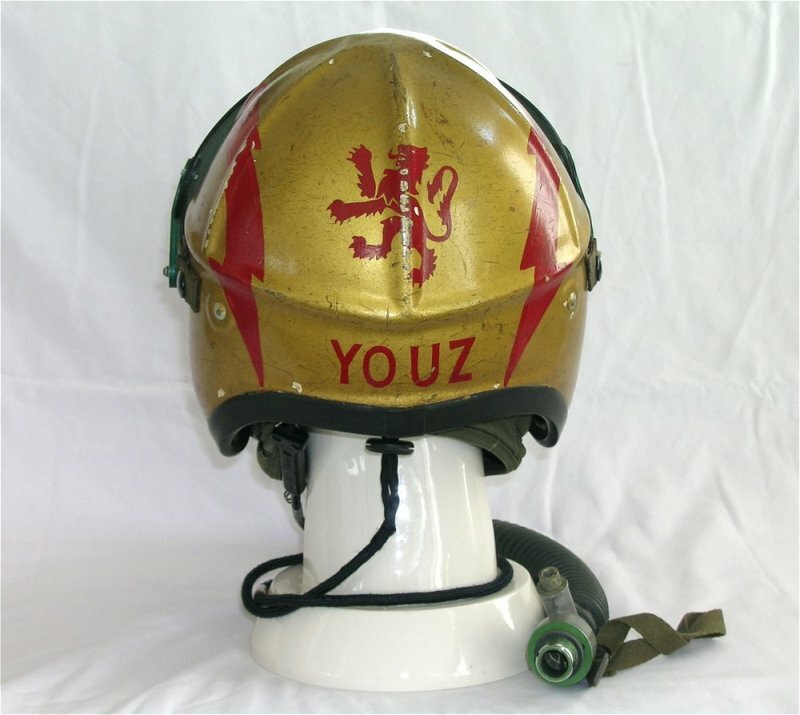 Yes, you did sell me the 441 Sqn helmet that is presently in my collection. Thanks again. Here is the helmet. You may recall that it was named inside to "Hayman". 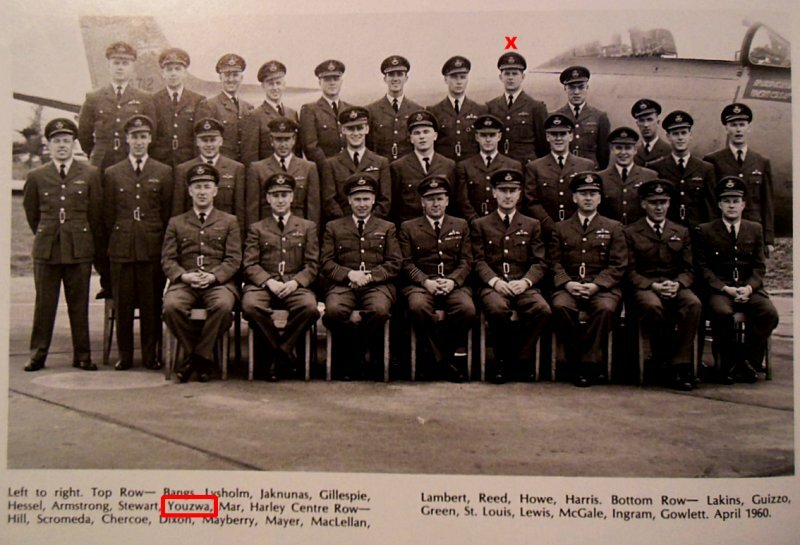 I researched the name and there was only one Hayman attached to 441 Squadron; F/O Ron Hayman. I have also attached a picture of him taken in August 1957 while he was training at the Sabre OTU located at RCAF Station Chatham, NB. I would assume that he is holding this very helmet and that it was subsequently updated to the new visor system and painted in 441 colours when he arrived at the squadron at 1 (F) Wing, Marville in 1958. Another great helmet. Looks like you a very extensive collection there in the back ground. I hope you will share some more with us one day. You seem to be adept at doing research on the original owners of these helmets. Are post WWII pilots easier to research? I have done some research and known people who have done research on WWI-WWII Canadian pilots and have only come up with very limited information/pictures. Just some thoughts on what make post WWII Canadian pilots easier to research, better government records? Less numbers of pilots to sift through? More pictures taken?More pilots still living? Or I am totally off? At any rate great work, can't wait to learn more. I think you are definitely the guy to write a book on the subject. Not really sure if I am any more adept than others in the research department, however, one thing that I have done over the years is to have collected every little bit of information on the squadrons and pilots from the era that I could get my hands on. I have many official Sqn History books with lists of all sqn personnel, course photos from the OTUs, books written by others on the different aircraft, the bases and the squadrons. I also have a network of others who enjoy this period in aviation history and whose knowledge I can pick from time to time. Unfortunately, a lot of the guys who flew these jets are now in their 70s and 80s so I also do my best to get them to talk and to write things down before it all becomes lost in the not-to-distant future. I think your observation about fewer post-war pilots than those involved in WW2 and the fact that quite a few of them are still living today certainly helps a lot. One of my "go to" guys for information is the fellow who was instrumental in starting the RCAF Memorial Museum (now the National Air Force Museum) here in the Trenton area. He is a wealth of knowledge. A book is definitely in the works, but the time needed to dedicate to such a project is simply not available to me yet. Some day. And yes, I will post more of my collection as time goes by. Thanks for the comments.